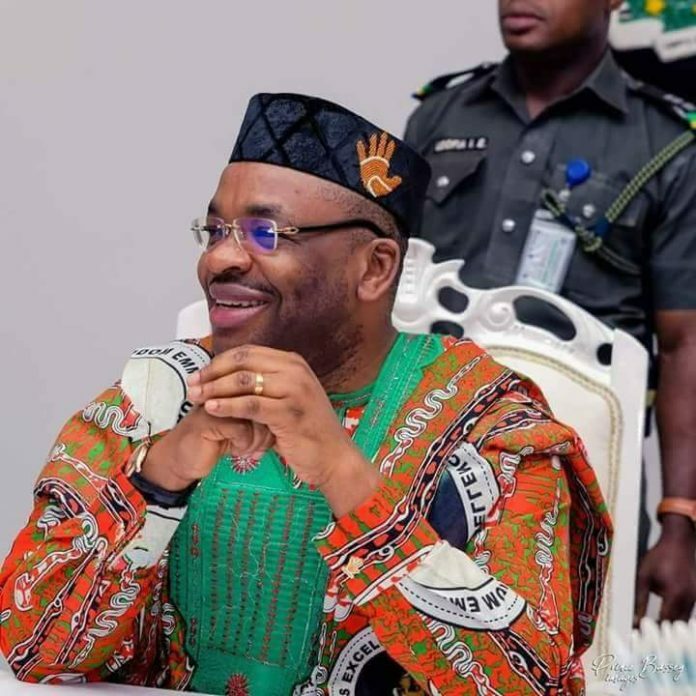 Akwa Ibom State Governor Mr Udom Emmanuel has drawn a battle line with his predecessor, Senator Godswill Akpabio. Emmanuel at a grand endorsement rally Monday by the people of Eket Senatorial district held at the Onna Township Stadium said he would expose facts and figures about Akpabio’s administration if he was challenged. The governor said he was ready to spend his personal resources to hire International, National and Local media to present facts to the world as only such avenues would convince the whole world about who is who in the state. “However the issue on ground is Akwa Ibom, it’s about the development of this state, it’s about our children in public schools who are excelling in international competitions, it’s about the price of garri that we have drastically dropped, it’s about the unity of this state which we believe in”.